It is spring finally, green grass, blooming trees and flowers and rabbits everywhere. What could be more exciting. And there’s a movie about Peter Rabbit based on the books by Beatrix Potter. 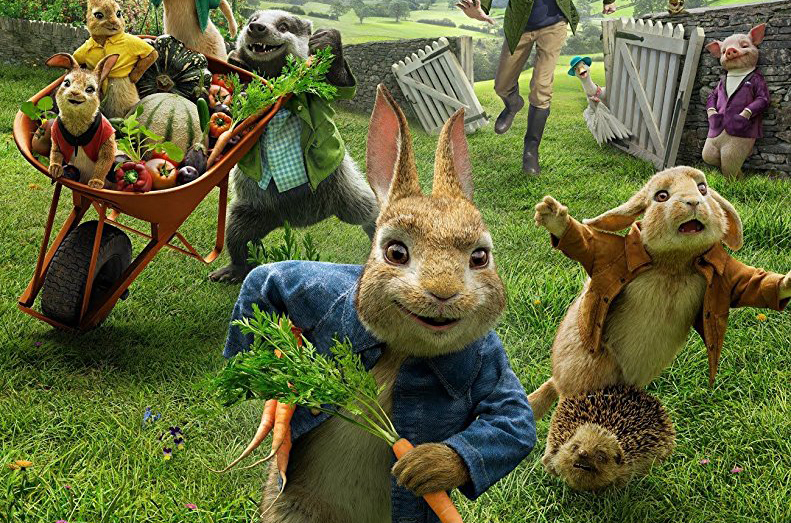 The movie has impressive cast of actors playing Peter Rabbit (James Corden;) his three sisters: Flopsy (Margot Robbie,) Mopsy (Elizabeth Debicki) and Cotton Tail (Daisy Ridley) and their cousin Benjamin (Colin Moody).